“Sometimes I’m confused by what I think is really obvious. But what I think is really obvious obviously isn’t obvious…” Michael Stipe. And this is the problem. Your new hire is often confused by what he thinks should be obvious. And you certainly think it is obvious. So what is going wrong? 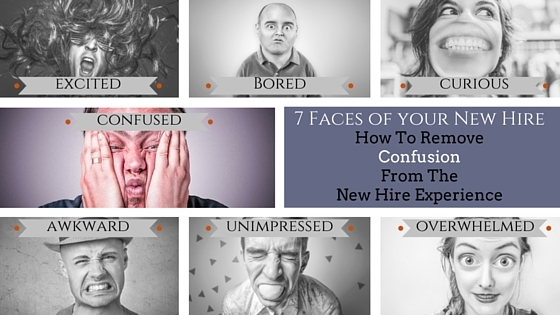 In Part 3 of ‘The 7 Faces of Your New Hire’ series we try and eliminate that confused state of your new employee. 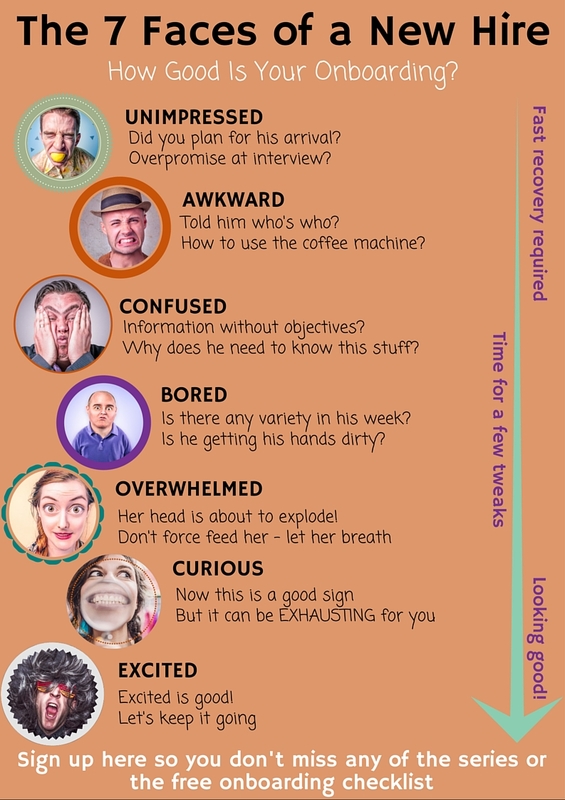 We take what you think is obvious and understand why it is giving your new hire that look of sheer bewilderment. Everything will eventually become obvious to your new hire too. But let’s speed up that process. The good news is Charlie will probably be great. But right now he is frustrated that he can’t figure out what is going on. And if you’re honest, you’re pretty frustrated too. The confused new hire can be pretty high maintenance. You might be doing a great job showing your new hire the ropes. You could be ticking all the boxes on your onboarding checklist. But you may be forgetting something. Every business is unique. It’s easy to forget this when you have been around a while. It just feels normal to you now. This is the curse of knowledge. This uniqueness can be the biggest cause of confusion. It is tough to get your head around the terminology used, the way people communicate, the unwritten rules, the politics, the hierarchy. The list goes on and on. Your new hire can’t see clarity in things everyone else sees as normal. There is a piece of research carried out by Elizabeth Newton featured in this article in Harvard Business Review that demonstrates the curse of knowledge perfectly. Elizabeth ran a test which included a ‘tapper’ and a ‘listener’. The tapper had to think of a well-known song, like ‘Happy Birthday’ and tap out the rhythm with their hand. The listener had to guess it. Only 2.5% of the listener’s guessed correctly although the tapper’s predicted it would be closer to 50%. Go and try it. As a tapper it feels incomprehensible that the listener will not get it right. You forget that you already have the relevant knowledge in your head which puts you at a whole new level of understanding. Your new hire is starting in the same place as the listener. Let’s look at it on a scale of 1 – 10. Your knowledge is probably between 8 – 10. Charlie, (depending on whether he has past experience in a similar role or industry) is starting anywhere between 1 – 4. That is quite a gap. So, in effect, you need to dumb down the messaging. On first attempt, you might get to 7. So dumb it down again. As with businesses, every new hire is unique. From that point, you can ramp it up at a rate that works well for you both. But don’t start with the assumption of a level of knowledge that might not be there. You may be trying to teach Charlie a process that is pretty simple in your mind. But what you are forgetting is that there is unfamiliar terminology in that process, a new way of working and personalities to figure out . Help him with these bits and a lot of the confusion will disappear. What do you intend for your new hire to do with all this information? I will be the first person to tell you how critical it is for your new hire to understand the ‘big picture’. What makes your company tick? What keeps your customers keep coming back? It gives him a purpose to what he does. But, often, a simple part of that is overlooked. Does Charlie know how he fits into this big picture? Without starting with his position on the picture, he has no context to understand the rest. If you are familiar with ‘Where’s Wally’ books, Charlie is Wally. He needs to find where he is before he can really take in the full picture. Does he understand what his job is? Yes, this would have been discussed at interview. But Charlie was focusing on getting the job then, not doing it. And that may have been several weeks ago. Ditch the jargon filled job description. Tell Charlie the five things you want him to achieve in his first year. Too much talking and not enough doing can be overwhelming. Once Charlie has a feel for what he has to do, this will bring context to everything else he learns. He can filter the crazy volume of information that will be coming his way over the next few weeks to make sure he retains the stuff he really needs. Help him understand how he fits in to the big picture. Who will he interact with? Who are his customers? Why does the company need him? o Walk through the customer journey. Where does he feature in that? o How does the product move from idea to reality? What is his role in that? o Which departments will he need to work with to get his job done? What do you require him to do now? Charlie needs something to aim for. o What do you expect him to have achieved after 1, 3 and 6 months in the job? o Talk him through how you will support him to become successful. Giving Charlie a clear vision of where he is heading will help him get through the fog of confusion. The good news is that this is one of the easier new hires to deal with. Once you have removed that scrunched look of confusion from his face, you potentially have a strong candidate. So a little patience and empathy is the name of the game here. Be realistic with your expectations and generous with your time. This phase will soon pass and be forgotten and it will be worth extra effort you make today. Don’t want to miss any of the series? Sign up here and you’ll get them in your inbox as soon as they are published. You will also get the checklist for an onboarding experience that will make your new hires look like they have just won the lottery!